University of California, San Diego researchers have noted some interesting behaviors regarding seahorses. Since they are composed of bony sliding plates, their tails are extremely flexible. So malleable, in fact, that they can be flattened to half their normal size before causing irreversible injuries. This natural design has led to inspiration for medical use and other field applications. The team of scientists and engineers involved in the project are looking at the way seahorses move in order to replicate the motion in a robotic arm. Other animals were looked at for potentially copying their armored exteriors, but the seahorse was chosen because they needed to duplicate a biomimetic design that was elastic yet solid enough to produce a fully functioning automated arm. Composed of high amounts of organic proteins and water, their tails are support systems that allow them to navigate and hold on to underwater structures like coral. They are normally made up of 36 sections with plates attached to connective tissues. The plates can slide and swivel and the middle joints and backbone are exceptionally pliable. Looking at the way predators attack them, researchers noticed that most will seize the animals by squishing them. Wanting to know if their tail plates acted as a protective armor they found that the outer ridges were the most durable. 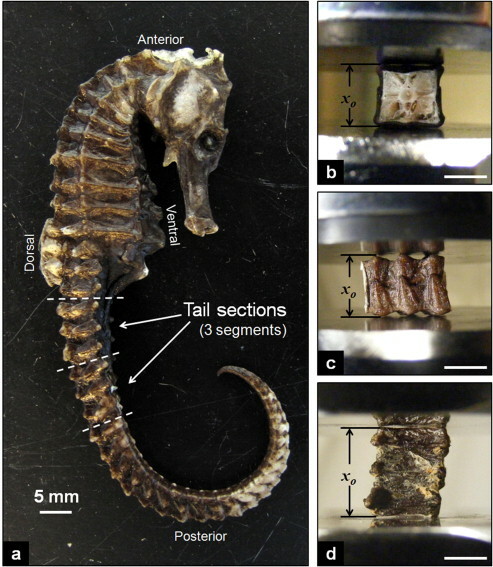 Utilizing the flexibility of the seahorses’ structure, they are intending to develop a mechanical arm with polymer muscles and hope to apply it for use in various biomimetic devices. Some of the many potential uses include areas in the medical fields, underwater probes and bomb detection and discharge. They say the next phase will be employing 3D printing to generate simulated plates that could be fitted with the polymer muscles. They hope to apply the discoveries to produce a robotic arm that would work as a crossbreed device, using both pliable and solid mechanical applications. 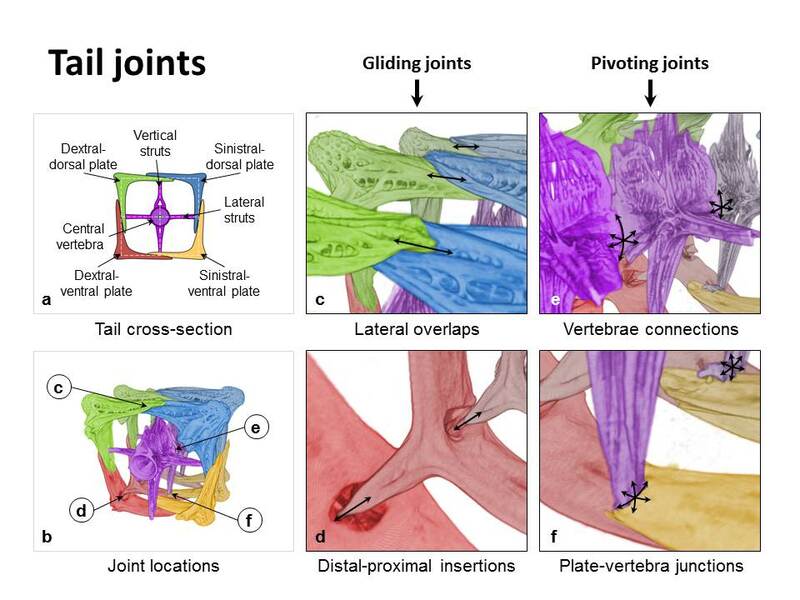 Their findings were published in the June 2013 issue of the journal Acta Biomaterialia. Natural designs found in biology are already perfect, we just need to respectfully explore and be willing to listen and learn.